What Are Dental Crowns, and Are They Right for Me? 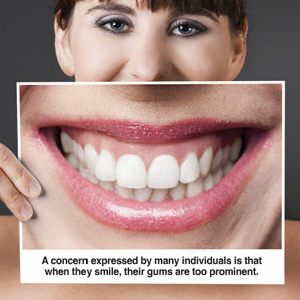 If you are living with a damaged smile, have you considered dental crowns? Today’s crowns are beautiful and strong, providing the protection that your teeth need and the natural looks that you want. Dentist Dr. Ron T. Williamson in Berkley, MI, offers a full range of services including crowns, to transform your smile—read on to learn more! In addition to providing great protection, crowns also improve the look of your smile! Many crowns are made of porcelain, which is a light-reflective material that looks just like natural tooth enamel. In fact, after a full porcelain crown is placed, it is virtually indistinguishable from your teeth! Full porcelain crowns are beautiful, and they are a great aesthetic choice for teeth that are visible when you smile. For back teeth, however, you need the most chewing strength possible, so you may want to consider a porcelain-fused-to-metal crown, also known as a PFM crown. These crowns have a metal underlay for added strength as well as a porcelain shell to provide cosmetic beauty, making them the perfect combination of strength and beauty that your smile deserves. Dental crowns are an excellent choice for just about everyone who wants a strong, beautiful dental restoration. For more information about the benefits of crowns and how they can transform your smile, call dentist Dr. Ron T. Williamson in Berkley, MI, today at (248) 399-4455!